Black Friday! Are you guys shopping? Maybe just a little bit online? I already bought a sweatshirt and it wasn’t even Black Friday yet. The sales start so early these days! To be honest, I’m more excited about the fact that it’s almost December. I love the holiday season and can’t wait to get all of our decorations out so we can have a Christmas explosion. I’m also extra excited about Christmas flavored everything. By that I mean, peppermint and dark chocolate. I’ve been addicted to dark chocolate kettle corn so next on my list is trying to make it at home. Hopefully everyone’s Thanksgiving was good and you’re all cozied up for the weekend, ready to binge watch some shows or catch up on internet reads :) I think we’re going to go watch Wreck it Ralph 2, hopefully it’s good! I’m kinda skeptical of all these influencer presets. What are you guys’ thoughts? Little bit older now, but hello Japanese Kit Kats! Everyone is quitting Instagram, well, maybe not petfluencers! This Netflix show about dogs looks incredibly wholesome. Amazon is shaping how our regular everyday household staples look. First it was straws, now it’s paper coffee cups. From knitting hobby to knitting profit. Side note, ever winter I get the extreme urge to knit. The best burger joint in America is no more. Amazon reviews are a rare peek into humanity. I’m not sure about these new rice krispie flavors. Can this overnight pumpkin french toast magically appear for breakfast tomorrow morning? Tell the Machine Goodnight was such a weird, but deeply good book. I thought about it long after I turned the last page. The other day a friend asked, who even buys candles?! I was like, I do! This one is one of my faves but I haven’t had one since last year. Maybe it’s time?! Kinda digging this mortar and pestle. I’m always on a lookout for a pretty set but haven’t found the perfect one yet. Mike and I both are in desperate need of smart phone gloves. My hands get cold but I still need to be able to touch my phone. First world problems, I know. These ones look okay? Any recommendations? I definitely buy candles!! I cannot wait to watch the dogs doc on Netflix and I really hope Wreck It Ralph 2 is awesome, I loved the first one! 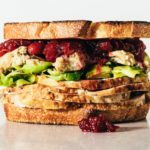 Is that turkey sandwich from this blog? Can’t find it. 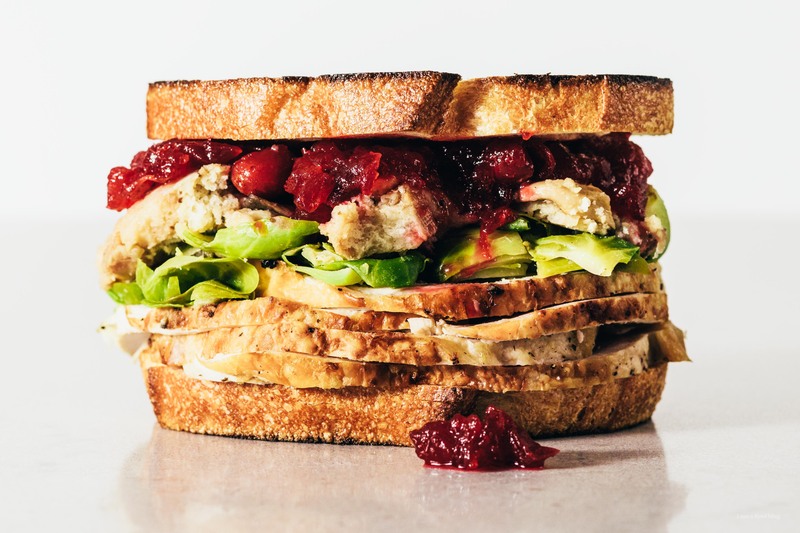 it’s made from the leftovers from the instant pot thanksgiving :) essentially toasted sour dough with gravy, turkey, brussel sprouts, stuffing, and cranberry sauce! Definitely will watch Wreck it Ralph 2! !